Sydney (VNA) – Senior officials from the remaining 11 countries involved in the Trans-Pacific Partnership (TPP) are meeting in Australia from August 28-30 to discuss measures to bring the agreement into effect as soon as possible. 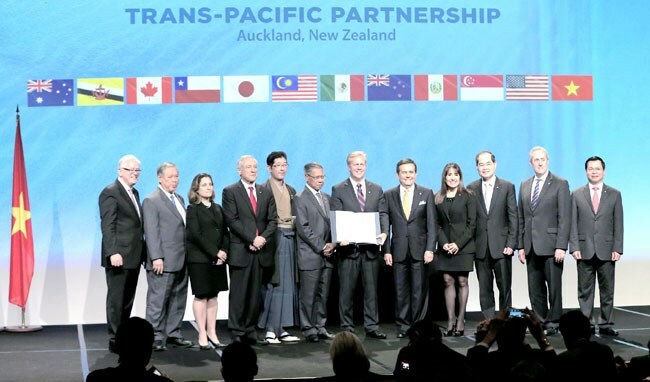 In an statement released on August 28, Australian Trade Minister Steven Ciobo said he has been engaging regularly with his TPP ministerial counterparts and realised that all 11 nations have a desire to reach a deal. Bringing the TPP into force would link 11 countries, including four of the world’s top 20 economies, with combined gross domestic product (GDP) of about 9.8 trillion USD. The Australian Government is committed to promoting trade and creating more export opportunities for Australian businesses through agreements such as the TPP, Ciobo said. TPP countries are scheduled to discuss the early enforcement of the TPP at the APEC Economic Leaders’ Meeting to be held in Vietnam in November.